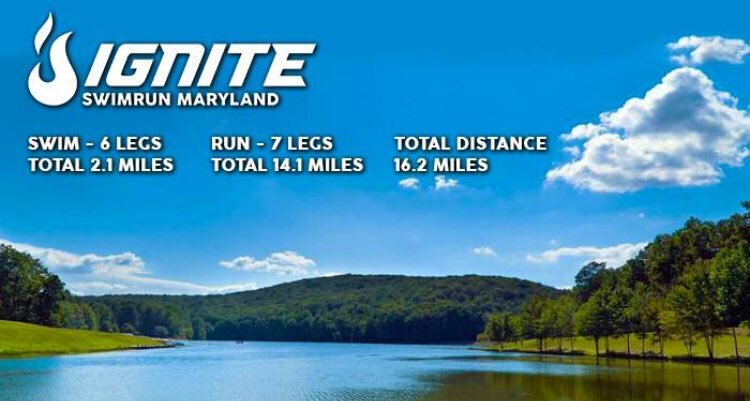 IGNITE SwimRun Series are a Virginia based company in the USA started in December 2017 and were the first US company to offer multi-state SwimRun races across the country. The 2018 Virginia race was the first ever US National Championship. Inspired by the international ÖTILLÖ, ”Island to Island” races, the IGNITE races follow the same rules and guidelines, with teams running and swimming together, wearing wetsuits and carrying pullbuoys, paddles and tethers if they wish. As always, all gear must be carried throughout the race. You can read more about the IGNITE Team here. There are currently 5 races in the IGNITE SwimRun Series, running from May through to October, and all have a general entry. 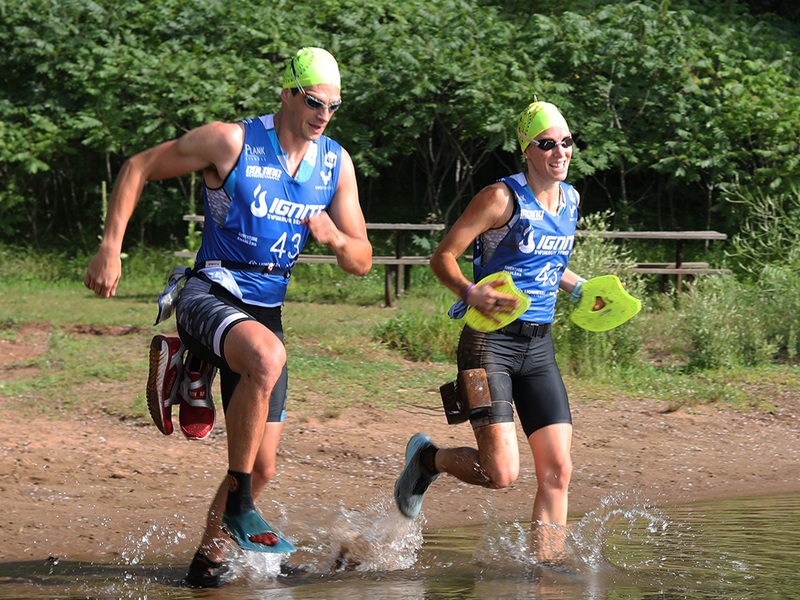 Team entries are all male, all female and mixed and the winners of each individual long event will get free entry to the 2019 National Championships at the SwimRun Virginia event. For 2019 the company have introduced the Solo 'Spark' category to bring the SwimRun experience to more athletes - providing the 'spark' need to try this challenging sport! The Spark category is only in the short course events for those wishing to compete without a partner. This is the first event of the Series. For more information and to register for the IGNITE SwimRun Maryland click here. For more information and to register for the IGNITE SwimRun Knoxville click here. For more information and to register for the IGNITE SwimRun Minnesota click here. For more information and to register for the IGNITE SwimRun Rhode Island click here. 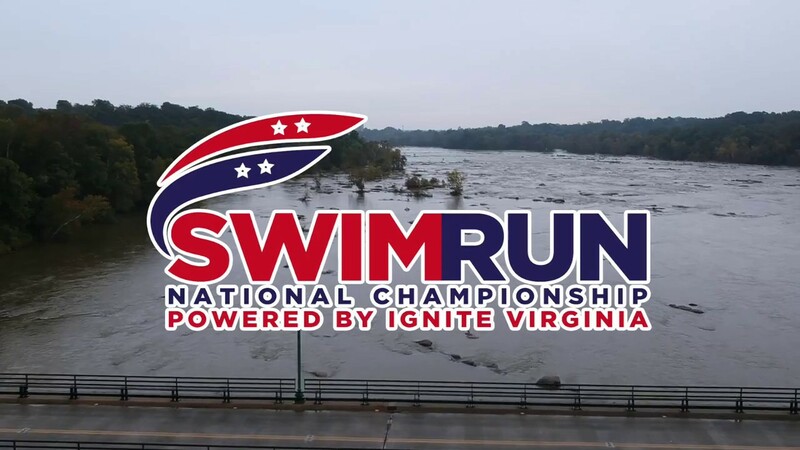 The IGNITE SwimRun Virginia is the National SwimRun Championship AND a general entry race. For more information and to register for the IGNITE SwimRun Virginia click here. The IGNITE team are partnered with elite coaching companies and provide SwimRun Training Clinics in each area of the country hosting an event. CLICK HERE to find out about the SwimRun specific training plans and to contact the coaches. A Swedish company owned by Jonas Colting who has won the ÖtillÖ World Championships 3 times and is the only person who has competed in the event since it started in 2006. Colting create some of the best SwimRun wetsuits in the world - Mogsy has actually just invested in a Colting suit! It's a great fit and a great looking wetsuit. Read more on our SwimRun Wetsuit page. VIVOBAREFOOT has its own brand of SwimRun specific footwear and believes SwimRun is the next endurance sports leader in the US. The company is based in London, England and believe "shoes should let your feet do their natural thing". Their shoes have an ultra-thin puncture resistant sole and are made using recycled, locally sourced materials. For more information visit their website. PLANK Eyewear are the official eyewear of the IGNITE SwimRun Series and are known for their use of sustainable wood materials and classic designs. They offer unique sunglasses that are affordable, using eco-friendly materials. This is very in line with the IGNITE concept of creating race courses based on what the terrain dictates and leaving no trace. Adventure Enablers provide real-time, live tracking to the IGNITE SwimRun events. Their tracking and timing technology provides remote access and location information to anybody with an internet connection. Every team can be tracked during the course to within a few meters. So real-time information can be provided to spectators, announcers and the safety crews. The company host many races including marathons, adventure races and trail runs throughout the US. Click here to go the IGNITE SwimRun series home page.